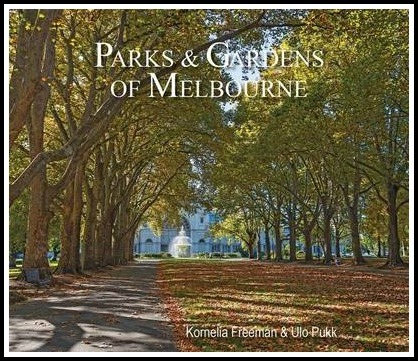 Have you visited all of melbourne's parks and gardens? What about the outer regional ones? 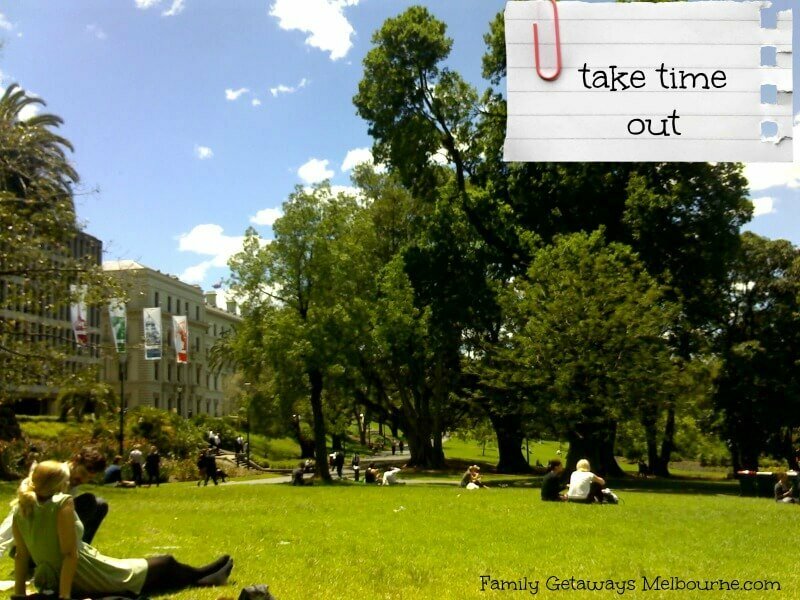 If you are looking for a great place to sit, rest and recuperate somewhere in the Melbourne CBD, then you don't have far to look as the city is full of beautiful places to do just that. Some are formal well laid out grounds with perfectly manicured gardens and others are wild and exciting places to explore filled with amazing and diverse flora. 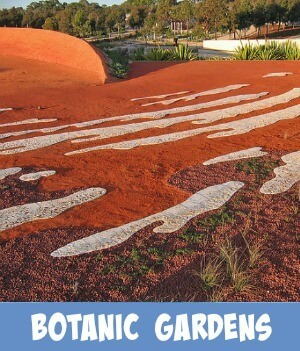 Some of these parks are sometimes filled with exotic plants from around the world. 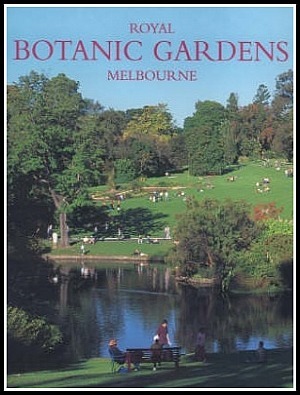 Melbourne's parks can also be an excellent place to be educated. 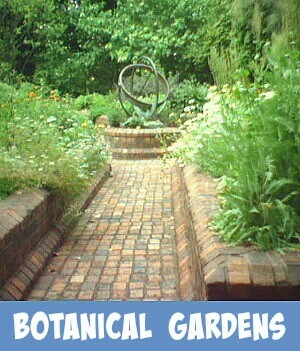 Great places for the up and coming generation of plant lovers. Melbourne's parks and gardens are excellent places to spend your hours admiring nature at its best, not to mention finding plenty of unique Australian bird and wildlife. The city's gardens and parklands are well maintained these days with local precincts priding themselves on their displays and presentations. Whatever your selection of parks is, Melbourne City and its surrounding suburbs of Parks and Gardens offer you and your family an opportunity to celebrate nature at its best. Stroll along the banks of the Yarra River enjoying the city skyline from the Alexandra Gardens. 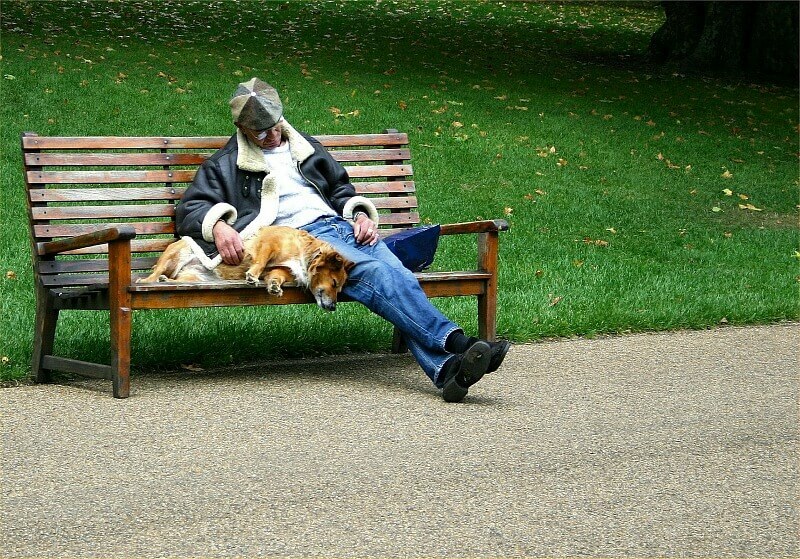 Perhaps you have a dog and would like to enjoy walking with it in some of Victoria's parks? 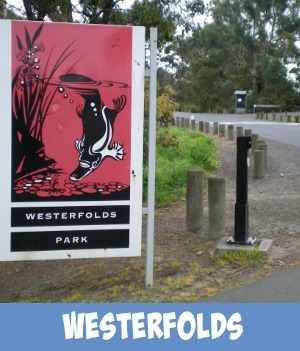 Visit the Dog Walking Parks Victoria site for more extensive details on where you and your pooch can have some fun and games. 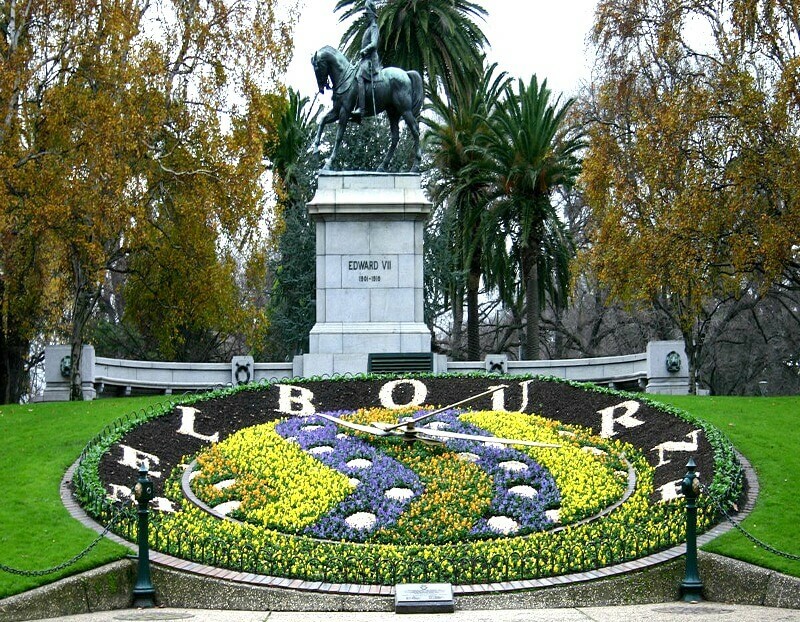 The Queen Victoria Gardens - The gigantic floral clock sits in the Queen Victoria Gardens opposite the National Gallery of Victoria. It containing thousands of flowering plants. These are changed twice yearly. The gardens form part of the Domain Parklands of Melbourne. 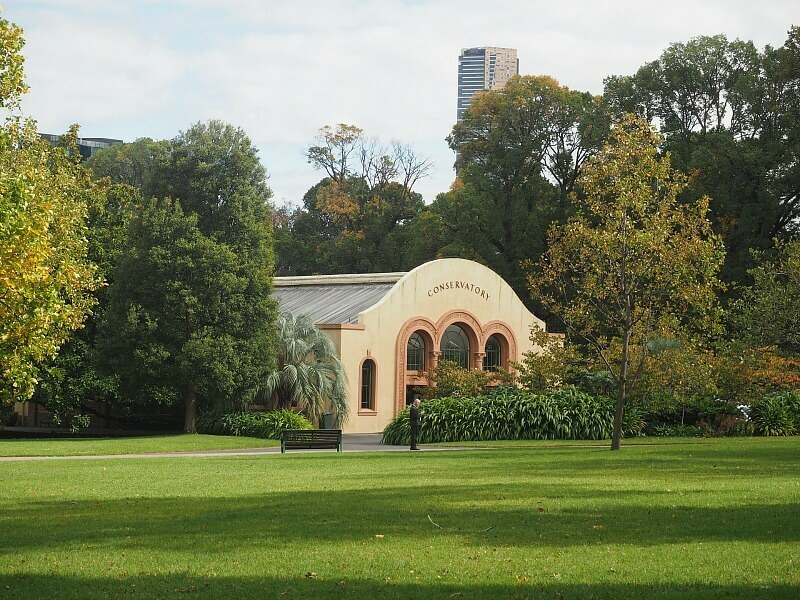 The Royal Botanic Gardens - these are regarded as among the world's finest botanic gardens, situated within a few hundred metres of Flinders Street Station. Kings Domain and Alexandra Park are planted with mature trees sitting in vast manicured lawns, a fern gully and flower borders along the Government House boundary. The fern gully planted in the 1930's is nearly hidden from view. The spot was originally an old quarry and is now a steeply sloping, landscaped rockery with a waterfall and a winding crazy paved path around a delightfully playful pond. - Painted poles and re-burial stone, marking the site of Aboriginal remains. The Fitzroy Gardens with the most amazing Historic Cooks Cottage. Take the Children on a trip back in time to 18th Century England...make sure that you check out the "Ivy" growing over the Building, it is the original shipped here from Yorkshire with the cottage in 1933. At the Fairy Tree and pick out all those fairy tale characters that you read about when you were a child. Discover the quaint little miniature Tudor Village right in the heart of the city. There's a dolphin fountain somewhere in this garden. Wonder if you can you find it? This garden is an excellent one for children. 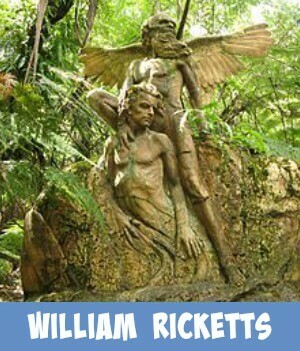 It will allow them to discover "secret" things no other garden in Melbourne contains. It is easy to get to. Use the Free City Circle Tram - This is the map of the tram's route. Use it to see where to get off the tram. Melbourne in Autumn is especially beautiful. With all the trees shedding their autumn, colored leaves, you can let the kids run through the huge piles that you will find in the parklands. This is a great opportunity to take some great photos of the children, perhaps create a family tradition. 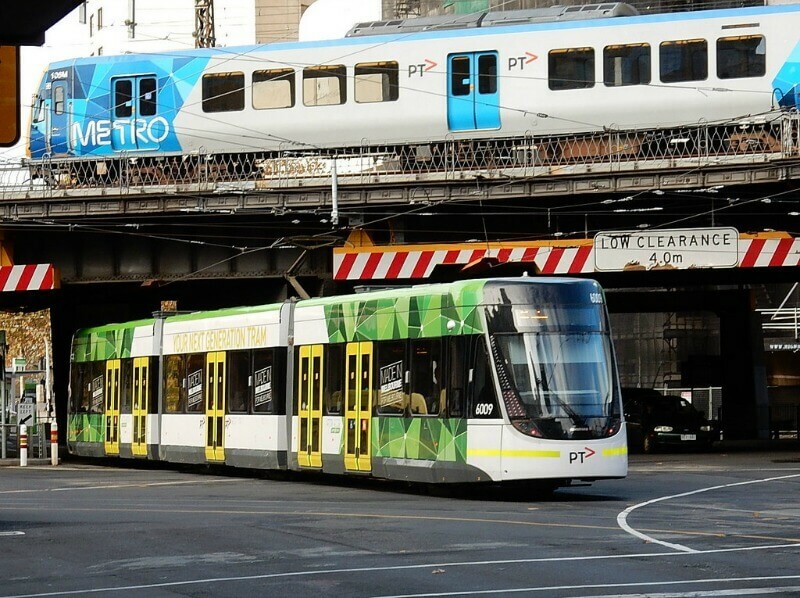 Take advantage of Melbourne's Public Transport system, for example there is the free City Circle Tram that will take you within close walking distance to your favorite recreation area. There are other city trams that will transport you to parks and gardens throughout the city. Use the rail system to get yourself around as well. Use Melbourne public transport to get yourself in and around the CBD. 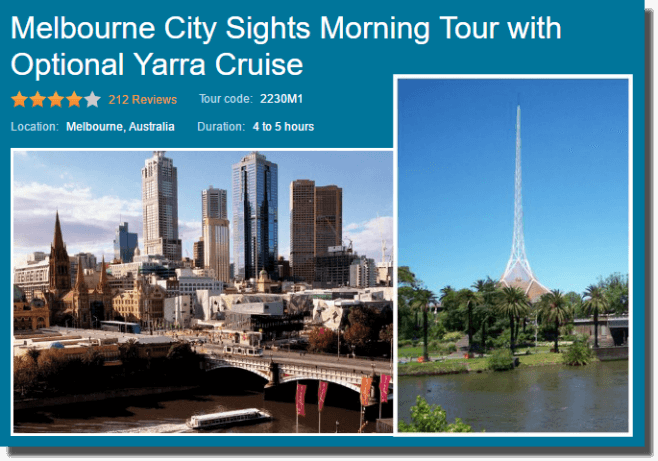 This morning sightseeing tour includes an optional boat cruise along the Yarra River. Travel by comfortable coach to take in highlights such as Captain Cook's Cottage, Queen Victoria Market, Fitzroy Gardens and Albert Park. Learn about the city’s history and culture from your guide and enjoy time to explore some sites by foot. If you choose, continue your sightseeing an enjoy a cruise along the Yarra River in the heart of the city. Cruise past picturesque gardens, parks and famous sporting arenas. Celebrate Melbourne. What better way to do so than to have a few coffee table books lying around to share this amazing and ever changing city. 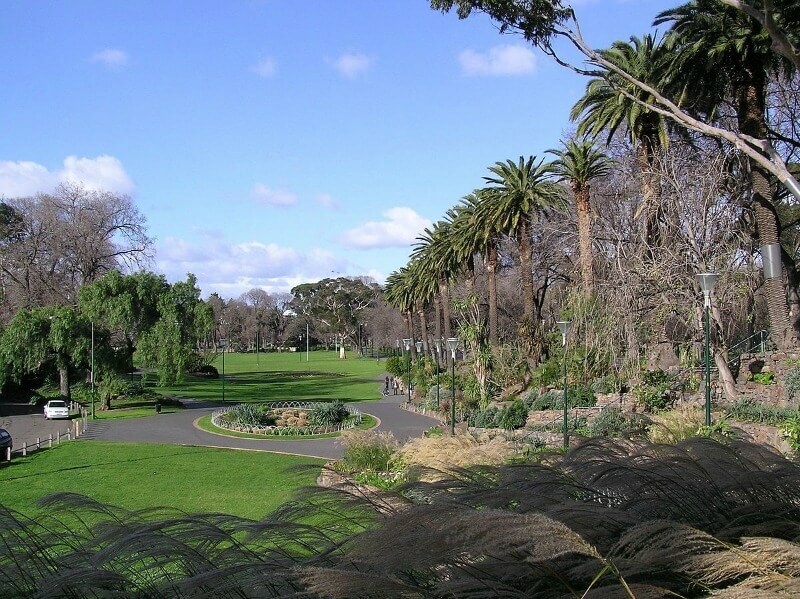 Throughout Australia's garden city, Melbourne, you will find some of the world's best parks and gardens. This magnificent 300 plus page coffee table book is crammed full of 1500 stunning photos and forms part of the Portraits of Victoria series. 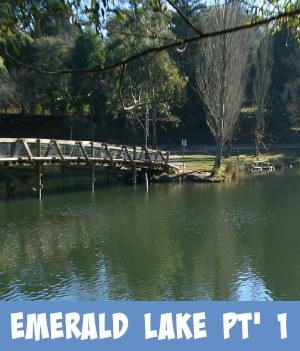 The others that form the rest of the series are the bestselling Dandenong Ranges, Yarrra Valley, Morningtomn Peninsular and Laneways of Melbourne. What an incredibly beautiful place the Royal Botanic Gardens in Melbourne is. 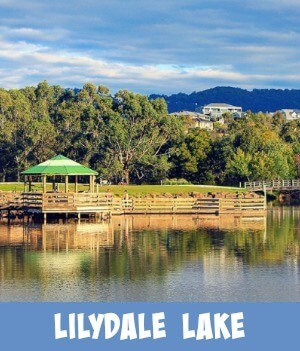 Manicured lawns, lakeside plantings, an Australian Garden and serene walkways to explore. The Royal Botanic Gardens holds a special place in the life of Melbourne - and has done since it became one of the first public gardens established in Australia, in 1846. This illustrated life and times of the Gardens paints a picture of the land before white settlement, then tells the stories of its plants, its buildings and the characters throughout its history. Deborah Morris's story focuses on the people - the gardeners, the Directors, the people who have lived in the Gardens, and the scientists engaged in a range of fascinating tasks, from propagating endangered species to identifying rare plants. Melbourne is known as the 'Garden City' and that also applies to most of the outer Melbourne suburbs. 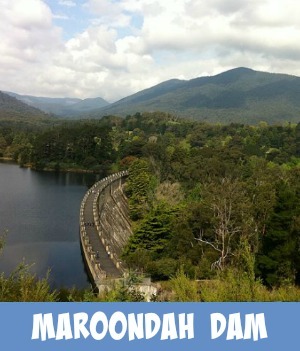 Further out into the countryside regions you will discover some of the most beautiful parks and gardens that the state of Victoria has to offer. Most of these parks make for an excellent day trip with the family. Some offer special attractions at specific times of the year such as the Tullip festival, the Begonia festival, the Chestnut festival and Spring festival. Each park and garden is different, with different things to do and different flora to view. Some offer free bbq facilities for an enjoyable picnic lunch. 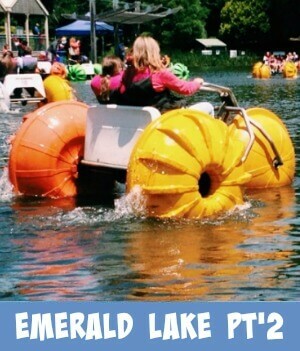 Every park you visit will leave lasting memories, these days preserved on your Iphone or Android.